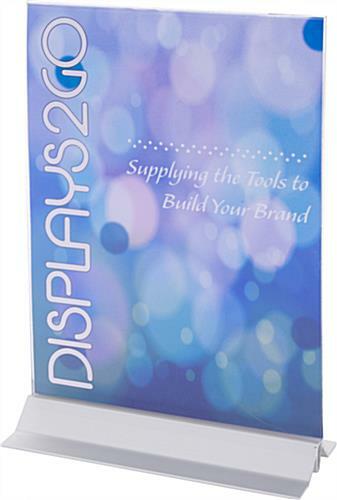 This frameless upright sign holder is made from clear acrylic with a silver aluminum base. 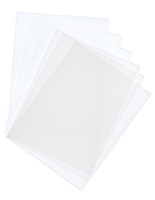 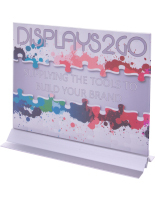 Each modern-looking graphics display features an adhesive bottom for mounting the stands on countertops, desks or tables. 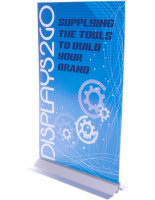 An acrylic upright sign holder is the perfect accessory to showcase pricing, service or sales information in business offices, restaurants and retail stores. 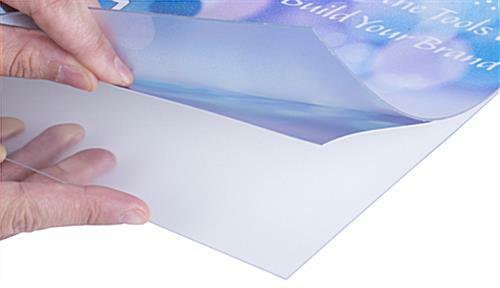 The adhesive mount bottom design creates a more permanent display than standard acrylic frame table tents or picture frames. 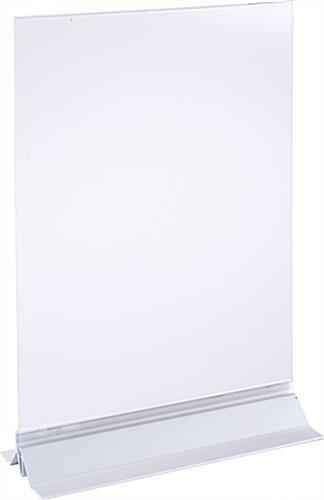 The countertop sign holder features a simple slide-in design that allows graphics to be easily inserted between the clear acrylic panels quickly as often as needed. 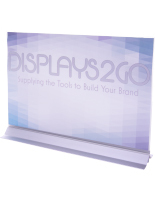 These counter stands create a very stylish, modern look that will draw attention to messaging in any environment. 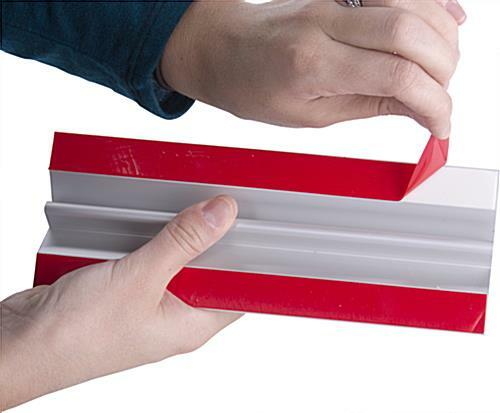 8.3" x 12.3" x 1.5"
8.5" x 1.3" x 3.0"